See More Accessories HERE Replacement glass tube for the Tesla Vortek Sub. Designed to keep your tank running at optimum speed for as long as possible, when you need a new glass section, this is the part you're after. Constructed of high-quality, heat-resistant Pyrex glass. I broke the glass on my Tesla Vortek tank & ordered this replacement glass, I was bummed cause I had to vape my old vape until it came in, but it came in WAY earlier than I expected! Very fast, the glass fits perfect, NO leakage! They even added a tootsie pop in the envelope! Will be ordering from Direct Vapor from now on! It only took 3 days from the time I ordered this replacement glass until it arrived in the mail. I chose the standard, no tracking option on the mail (7 to 8 days). The glass checked out authentic from Tesla and fit perfectly. DirectVapor now has a new happy customer that will be back in the future. This is very excellent site, after seeing the reviews for this particular glass replacement for my TESLA VORTEK i have a double minded decision taking problem. 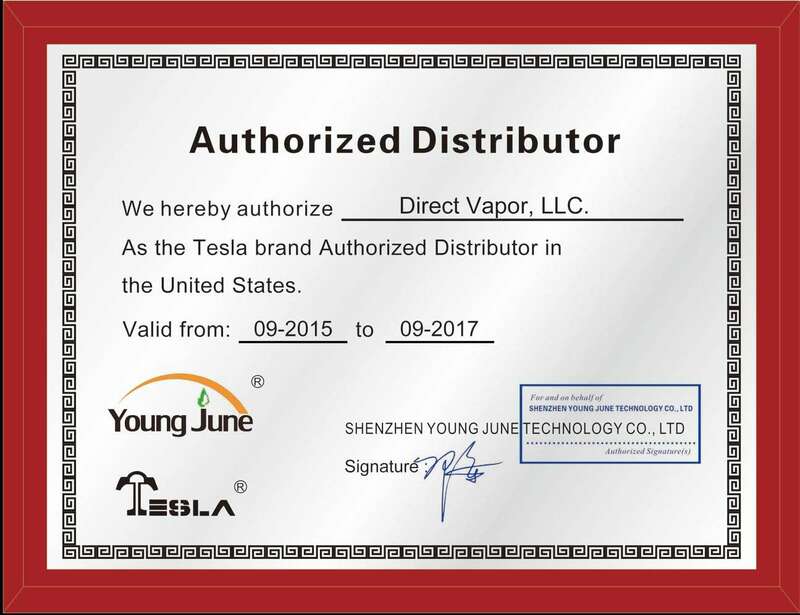 finally i have decided to go for this with do or die mindset... u wont believe it i got the very new branded quality TESLA VORTEK GLASS for replacement... I fully satisfied and its not dripping or leaking outside the tank, its suits perfect... 100% recommended... Thanks DIRECT VAPOR!!!! The replacement glass, while verified genuine, was a couple of millimeters too short, and resulted in constantly seeping out juice all over the place and making a huge mess. Best as it gets for the tesla vortek. Cheapest iv found too. Easy to break so I would recommend keeping a spare.